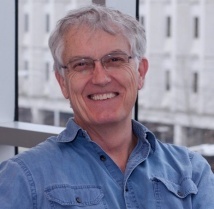 Dr. Duncan’s research group discovered the reovirus fusion-associated small transmembrane (FAST) proteins, a novel family of virus-encoded fusogens that mediate cell-cell membrane fusion. His interests are focused on biochemical and biophysical analysis of the FAST proteins, cellular pathways involved in cell-cell fusion, and factors that affect actin dynamics during membrane fusion and cell migration. For a complete list of Dr. Roy Duncan's publications, click here. Kai, F., Fawcett, J., and Duncan, R., (2015) Synaptopodin-2 induces assembly of peripheral actin bundles and immature focal adhesions to promote lamellipodia formation and prostate cancer cell migration Oncotarget 6: 11162-11174. Top, D., Read, J., Dawe, S., Syvitski, R., and Duncan, R.* (2012). Cell-cell membrane fusion induced by the p15 FAST protein requires a novel fusion peptide motif containing a myristoylated polyproline type II helix. J. Biol. Chem. 287: 3403-3414. Top, D., Barry, C., Racine, T., Ellis, C., and Duncan, R.* (2009). Enhanced fusion pore expansion mediated by the trans-acting endodomain of the reovirus FAST proteins. PloS Pathogens 5: e1000331. Salsman, J., Top, D., Barry, C. and Duncan, R.* (2008). A virus-encoded cell-cell fusion machine dependent on surrogate adhesins. PloS Pathogens 4: e1000016. Top, D., de Antueno, R., Salsman, J., Corcoran, J., Mader, J., Hoskin, D., Jerricho, M. and Duncan, R.* (2005). Liposome reconstitution of a minimal protein-mediated membrane fusion machine. EMBO J. 24: 2980-2988. Founder and CEO, Fusogenix Inc.